On a daily basis, the Transportation Security Administration is finding swords and knives concealed in canes at security checkpoints, and some of the travelers carrying them are unaware. 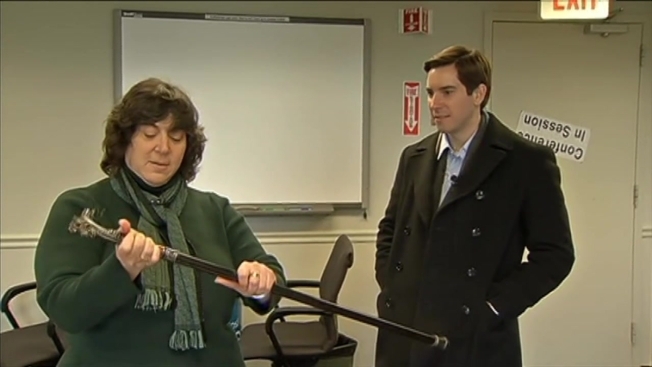 "They don't realize at all that anything is actually inside a cane,” said Lisa Farbstein of TSA. A lot of older canes come with the defense feature, and if you bought one at a garage sale or received one as a gift, you might not know a blade is inside. It's become such an issue that the TSA advises anyone who uses a cane to twist the top of it and inspect it. In every case, the TSA is going to take the cane with its artfully concealed weapon, and in some places, like New York, you could be arrested.